After five days, I have a serious crush on this car. What I expected to get was a car that was a little nicer than a Prius and less annoying to drive, full of compromises that enable the high MPG (45 highway, 50 city). This is not what I got. At all. Instead, I got a car that is positively luxurious, incredibly quiet, and far more impressive than the Lexus ES 300 Hybrid while costing almost $15,000 less. The level of engineering is nothing short of spectacular for a car in the 30k price range. 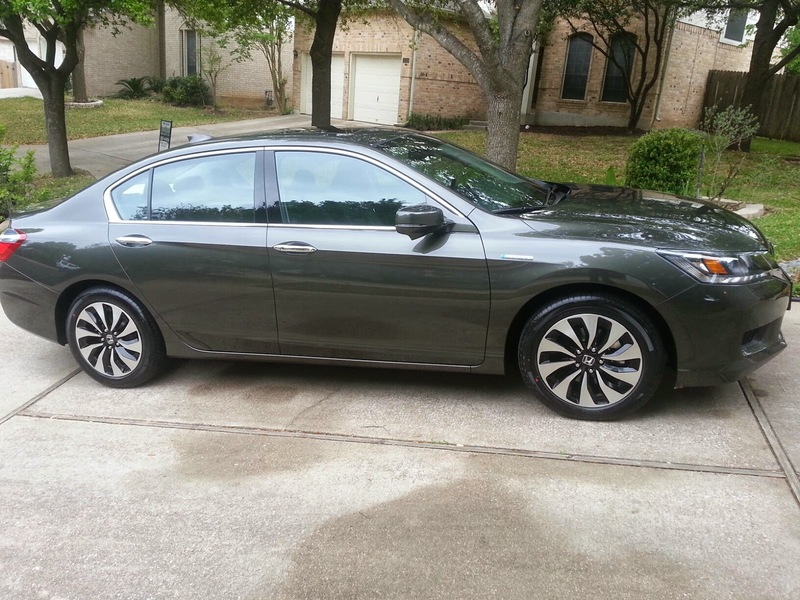 The color of the car is hematite (dark green), which Gloria said sounded like "hermit-type", and once she said that, this was obviously the only color that would be acceptable. When I first got the car, it had 4 miles on it and the MPG readout for miles driven was 28. Now it has about 220 miles driven and the MPG is up to 45.1 (the picture was taken last Friday, when it was still going up). The funnest feature of this car is that it turns driving into a game, essentially. Dashboard readouts give you all kinds of real-time feeedback about your driving style. 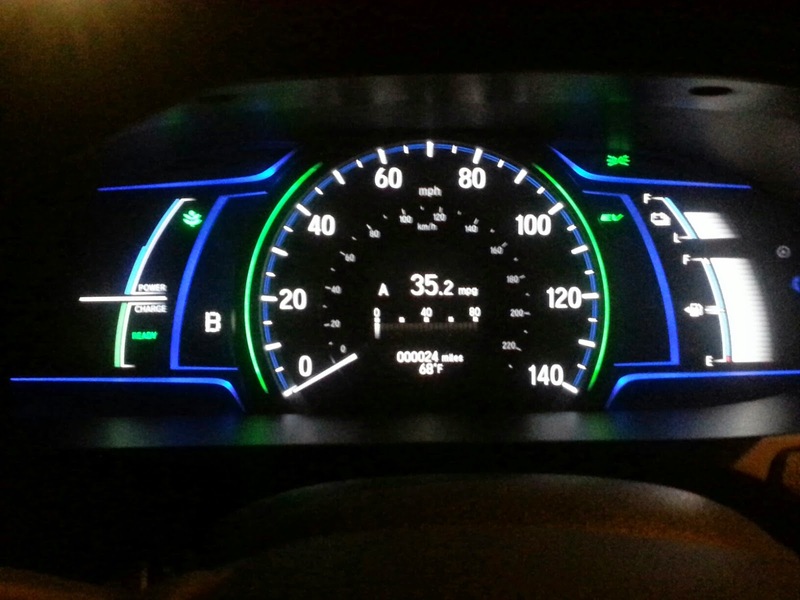 See the green arcs around the speedometer? They change color based on the economy of your driving style. On the far left, you can see when the car is using power versus when it's charging the battery. Then there are multiple options for the center speedometer display, several of which give you additional driving feedback. So getting the highest MPG you can is a videogame, basically. Who wouldn't like that? This car also doesn't drive like a hybrid. It drives like a regular, high-end sedan, and the "hybridness" is basically invisible. I've dreaded driving for years, and now it's actually fun again.